The Brutal Legend studio is adding two more titles to its catalog of games in development. As indie studios go, Double Fine Productions is a big one, with 65 employees toiling away on Broken Age and Massive Chalice, both of which were funded through Kickstarter, and Dropchord, a music game being developed in conjunction with Leap Motion and Dracogen. And now that list has grown by two. "I'm really excited and honored to announce on behalf of Indie Fund that... we will be funding an additional two titles from Double Fine," the Indie Fund's Kellee Santiago announced at the Horizon Indie Game Conference at E3. The Indie Fund was created by successful indie game developers to provide financial support for other indies who haven't yet hit the big time. Since its founding in 2010, the fund has backed the development of games including Antichamber, QUBE, Monaco and Dear Esther. 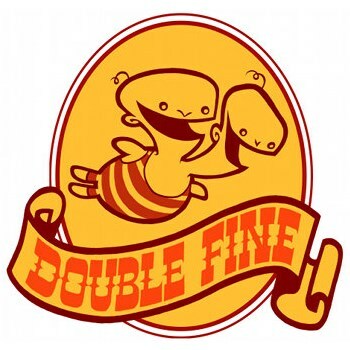 It's not publicly known how much money Double Fine received from the Indie Fund but I'd hazard a guess that it's substantially less than the $3.3 million it earned for the Double Fine Adventure - later rechristened Broken Age - or the well-over-$1 million it will inevitably bring in with Massive Chalice. Numbers like that could lead one to wonder why the studio needs yet more money to make yet more games when we still haven't seen the first fruits of its non-publisher-funded labors, but it's probably still a bit early for that kind of speculation.